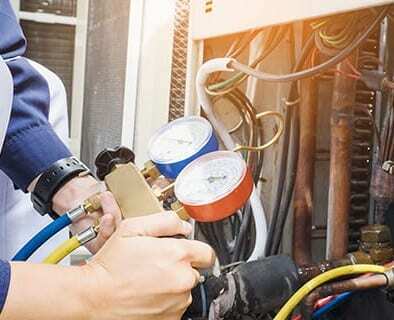 Provide unlimited service labor and parts to repair all of your home's major appliances, air conditioning system, including plumbing and electrical systems. Perfect air starts with the perfect A/C installation. Learn about our comprehensive home survey. 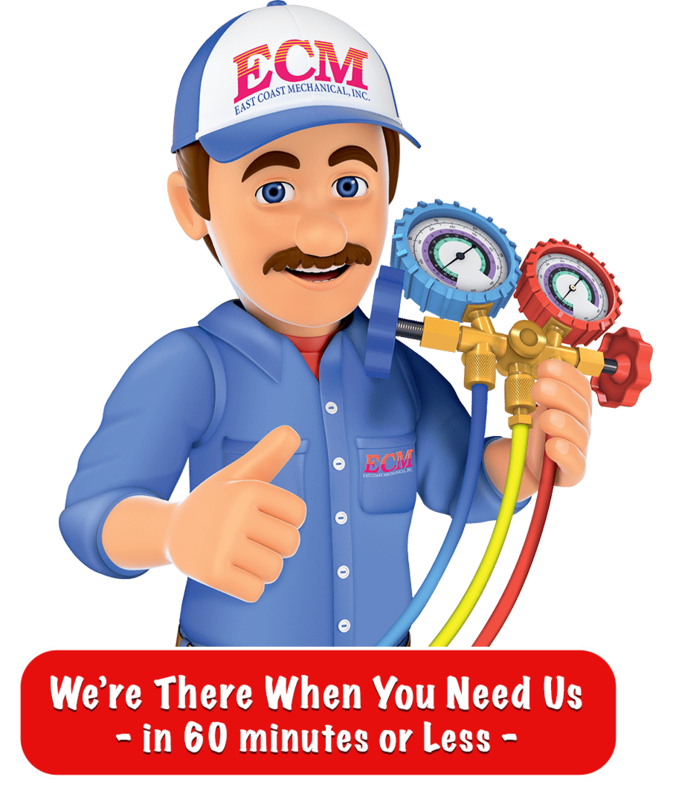 ECM has residential emergency repair service in 60 minutes or less. 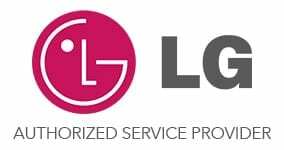 Benefits: Reduced Energy Bills, Increased In-Home Comfort, Improved Air Quality, Reduced Breakdowns, Increased Efficiency, Improved Air Flow and Reduced Repair Costs. 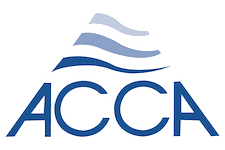 East Coast Mechanical, also known as ECM, is one of the largest family-owned residential and commercial A/C, plumbing, electrical and home warranty companies in South Florida. ECM has been conducting home services in South Florida including Palm Beach County, Broward County, Martin County, and St. Lucie County since 1985. At ECM, we can get you a high quality, energy efficient, heating and cooling system with our state of the art A/C installation service. 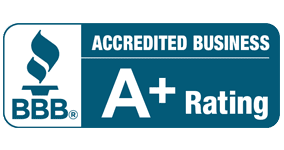 When we perform an A/C Service, A/C repair, replacement or install on a new unit for you, we make sure that your indoor air quality and the efficiency of your system is at its optimum performance specification. A bad installation can cost you 30% or more in efficiency loss. That’s why it’s important to only use qualified AC engineers like those at ECM. 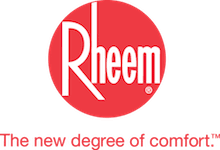 Give our customer service team a call today and we can come out and give you a complete 99 point FREE estimate for your new heating and air conditioning system. 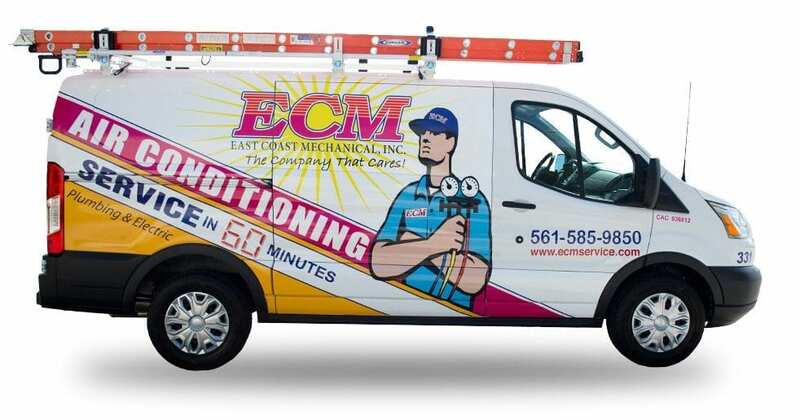 When it’s hot outside and your air conditioner has stopped working, leaving you to sweat it out, call ECM and we can have an AC repair service technician there within 60 minutes or less. We’ve been helping South Florida homeowners stay cool for over 30 years. We carry a large inventory of parts to repair most jobs on the first call. Not to mention our LARGE facility that’s over 69,000 sq ft that is stocked with tons of equipment to get the larger jobs done same day or next day. ECM installs over 3,000 new A/C units every year. 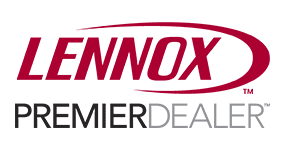 When you have one of our highly trained technicians come to your home, they’ll walk you through all your options and give you real, upfront pricing. 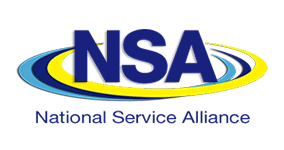 Each technician is background checked, drug and alcohol screened and is a TRUST Certified, highly trained professional. We hire the best because we believe you deserve the best. Call ECM today! 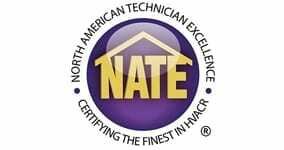 We’re not your typical A/C, Plumbing, Electrical and Home Warranty Company. We wear shoe covers & use drop cloths. 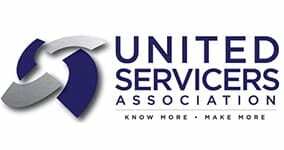 Over 30 years of award winning expertise. The technicians were here on time and were efficient and courteous. They told us the time they would be finished and were. They swept the garage and left everything clean. ECM has been our service and maintenance company for 5 years. This year we decided to upgrade to a new A/C system. After interviewing many contractors, we decided to hire ECM. The installation was handled by two extremely qualified and meticulous men. 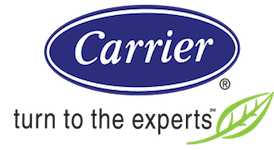 As a result we are extremely pleased with our new Carrier system. We highly recommend ECM for A/C and all other home appliance service and maintenance. I have used ECM for many years being a resident of Century Village in Boca. In 2017 I needed to replace my 2 ton AC. I got three prices, and choose ECM. The other tow companies were lower but WERE NOT pulling a Palm Beach County Permit, was not upgrading the electrical, and was not tying down the unit outside on the concrete slab for hurricane protection. 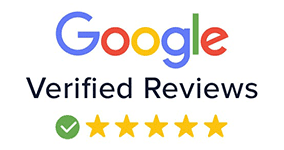 The two repair guys were fabulous, very clean, gentleman and completed their job in a professional manner. They showed us how to use the new thermostat and dehumidifier. We did have a minor issue on the outside piece of concrete and that was corrected today. The contractor that came was excellent and took care of the issue. I will renew my annual contract with ECM in 2018. Very well - workers were very professional. Let’s chat about your Air Conditioning needs. Our newsletter features more savings, tips and advice.